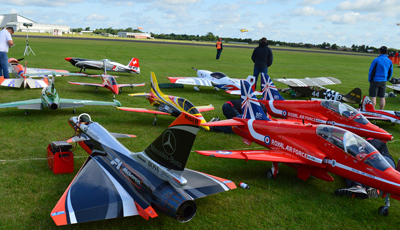 Hundreds of scale models of iconic aircraft will be taking to the skies at the annual Large Model Aircraft Rally. 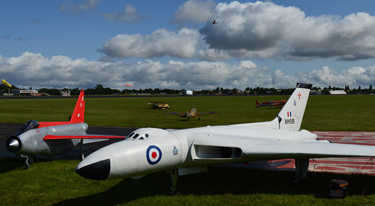 Taking place on the airfield, this famous air show in miniature is an absolute must for any aviation enthusiast. Themes for the 2016 Rally include marking the 75th anniversary of the first flight of a Spitfire with a large Spitfire formation. Children under 16 are free of charge when accompanied by an adult. Museum Members in the Lightning category can get in to the Show for £5.00, please show your Membership card at the gate. Advanced tickets can be purchased from the museum until 5pm on Friday 15 July. Postal bookings are now closed. If you would like to find out more about trade stands at the 2016 Large Model Aircraft Rally please email us. Camping for the LMA event is available for the weekend at an advance rate of £40.00 please email via this link.